This year, Le Guess Who? collaborates with Corderius College in Amersfoort in an educational project. 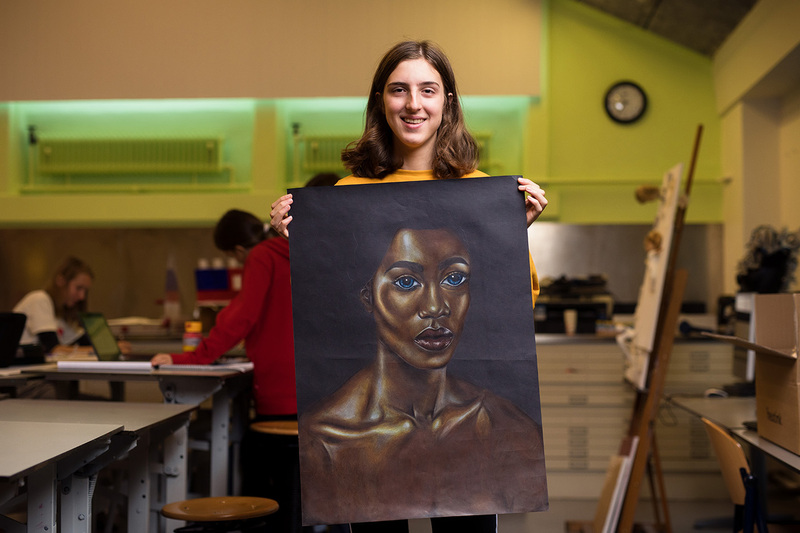 Pupils were asked to choose one of the artists from this year’s line-up, and explore their background and inspiration. Based on this, they created a new visual image or product for the artist. Here's what they have to say about AMMAR 808, DRINKS, Kojey Radical, and Swamp Dogg, as well as an explanation of the works they made, and why. Other local schools we cooperate with are X11 school for media and design (Utrecht) and de Parkschool in Lombok. The results are shown in an exhibition that can be seen daily during the festival in TivoliVredenburg. The works are exhibited on the fourth floor. "There is so much weird music at Le Guess Who?. With weird instruments, different cultures. I actually don't listen to those kind of things. This was the first time I listened to stuff like this. Apart from our Western music, you don't really hear anything else."